As 2015 comes to a close, I want to share an overview of the economic development happening in the 46th Ward. I can assure you that the plans for all of this didn't happen overnight. We are now bearing the fruit of the work I started in my first term. However, I didn't do this alone. 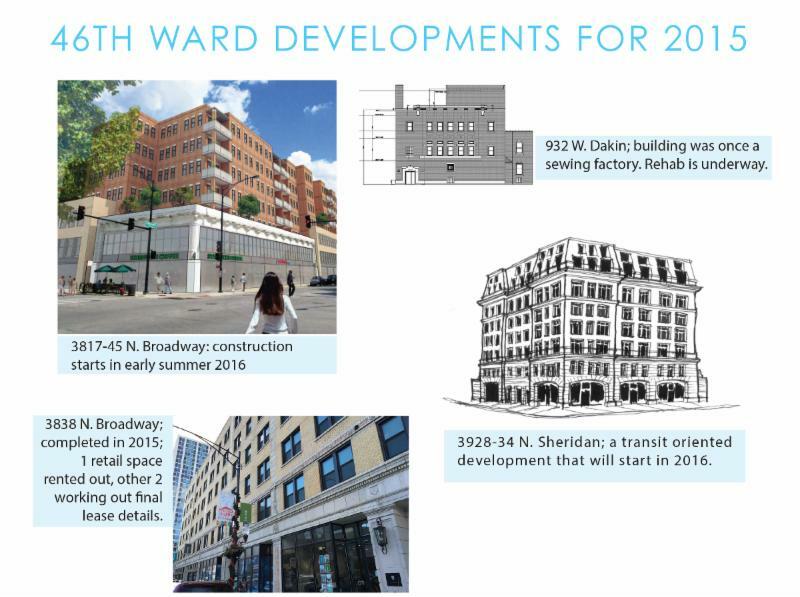 I want to thank the 46th Ward Zoning & Development Committee for their time and assistance with making sure that community involvement was at the forefront of all of these plans. Each proposal was greatly improved thanks to their feedback. 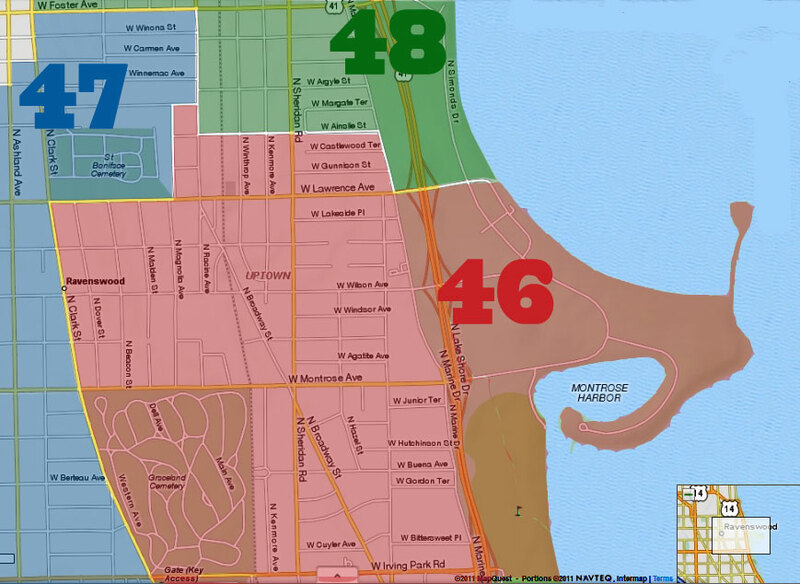 Over 40 different organizations throughout the 46th Ward now make up this committee, and each organization sends its own representative to participate. Click here for more information. 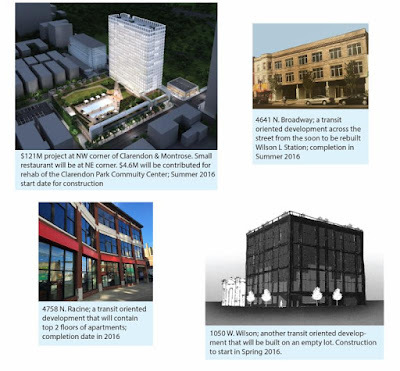 These approved projects will mean a lot of construction at in 2016, and with that comes some inconvenience. If issues arise, your feedback will be important, so please contact me. In the meantime, here's to a very happy 2016! UU Note: We can also add FLATS No. 1020 (Lawrence House) and FLATS 1132 W. Wilson to this list. Can also add Lawrence and Clark project by Candea. 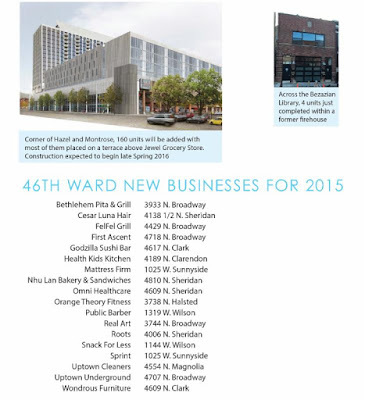 I only count 14 orgs in the list on the ward website and a lot of big buildings. Does anyone know how what a building needs to do to get on the committee? Thanks. 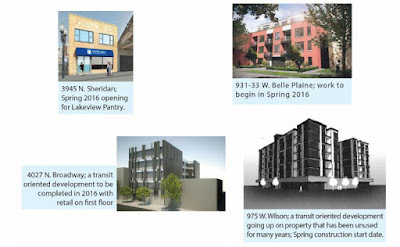 I dunno... are these Cedar Str projects? 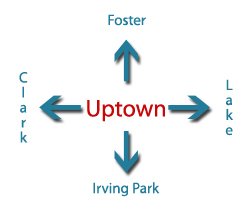 I see a lot of empty buildings sitting with Cedar Str logo....and I wonder about a building "bubble" on the north side. Are there THAT many people moving to Chicago that warrants all the building going on? In Lakeview, a walkaround, you see a lot of "for rent" signs.